"Kill the Man, Save the Indian" is a rewriting of the phrase "Kill the Indian, Save the Man" which was said in reference to the forced assimilation of Indigenous people during colonization, particularly in the residential schools which were created to "Americanize" Indigenous youth. Rewriting this quote symbolizes the importance of decolonizing from the toxic aspects of masculinity that exists in our country today and to rebalance men's relationship to the feminine. 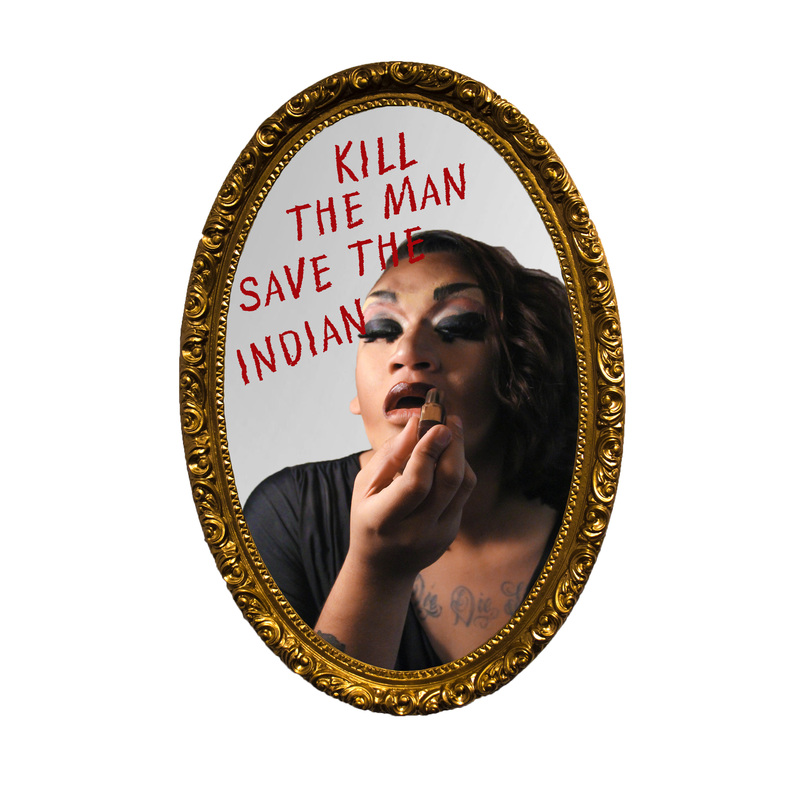 I used an Indigenous model in drag to emphasize this importance to the queer and Two Spirit community. Born in Misawa, Japan, Ryan Young (They/Them/Their) is a Two Spirit Ojibwe multi-disciplinary artist from the Lac du Flambeau reservation in northern Wisconsin. They just completed their BFA at the Institute of American Indian Arts, majoring in Photography with a certificate in Performing Arts. Their current work focuses on empowerment and representation of Two Spirit people, through mixed media to rebuild the relationship between culture and queerness that existed in many tribal communities prior to colonization. Young was selected as the designing artist for Eighth Generation’s Two Spirit Blanket, which was released November 2018.